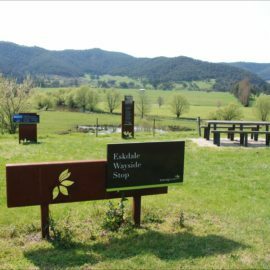 Nestled in the Mitta Valley, with great views of Mount Bogong, is the township of Eskdale. 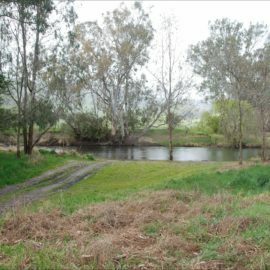 The Eskdale area has a population of 242 people and the town was established in 1860 after miners flocked to the Mitta Valley area in search of gold. Today, the town is a favourite destination for lovers of the outdoors and those in search of a quiet retreat. The town is located along the Little Snowy Creek and has all the essentials for holiday makers, including several cafes, a supermarket, pub, post office, bowling green, church, several accommodation providers and a sporting complex. The Eskdale Hotel is the perfect place to stop for a meal, to enjoy a drink or to stay the night. The hotel is motorcycle friendly and boasts great food, games and music nights, and stunning views from the large verandah. Eskdale offers lots of walking tracks nearby and plenty of great camping and fishing spots too. 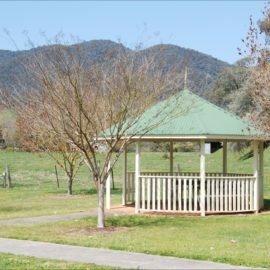 Dartmouth and Mitta Mitta are only a short scenic drive away. Eskdale is a great place to stop along the Omeo Highway, whether it be for a quick meal, for a day or for an entire week. The many scenic routes along the highway make Eskdale a motorcyclist’s haven. If you want to escape the hustle and bustle of everyday life, then come and visit Eskdale, in the stunning Mitta Valley.